For some reason, I decided my bench needed a variable AC power supply. 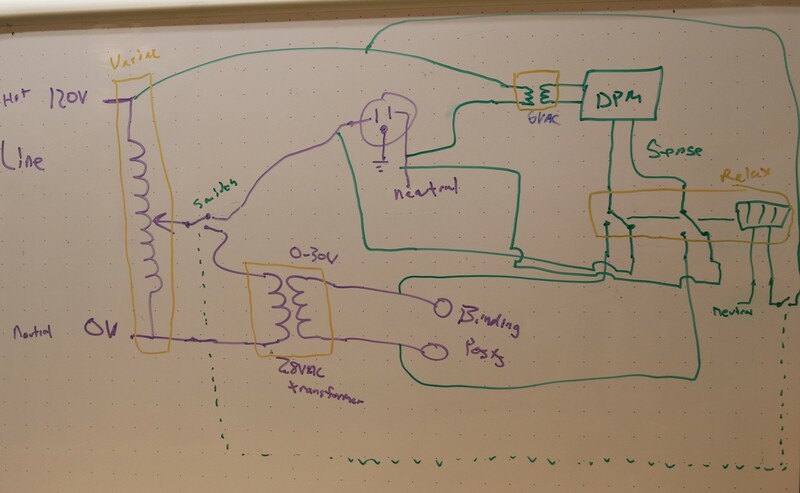 First I started by trying to reproduce the project at http://www.eleccircuit.com/ac-variable-power-supply-0-30v-3a/, but failed miserably. Either I did something wrong, or it just doesn’t work the way I thought it would. I got horribly chopped waves, and chops on alternating cycles of the wave. When asking around, people told me ‘well, duh! why didn’t you just use a variac’ ? Not shown in the diagram is the fuse, which is actually pretty darn important if you want to protect your variac. You want to fuse both the primary and the secondary of the variac. 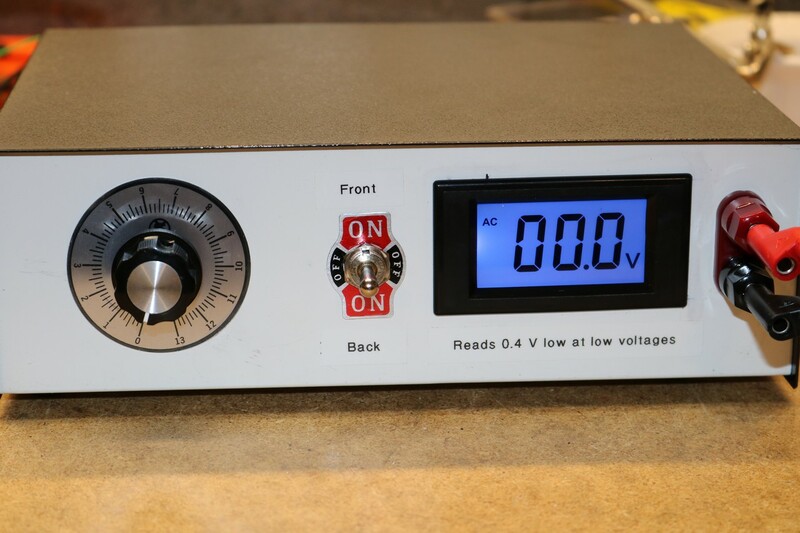 The small radio shack transformer is used to supply the ~ 6 VAC that’s needed for the digital panel meter. The relay is used to switch the DPM between the front panel binding posts and the back panel receptacle. 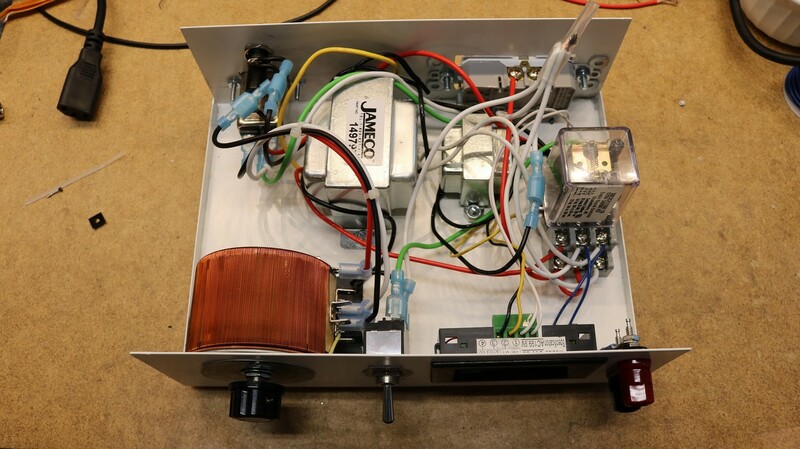 Great build on this diy variable AC supply. I need to build something similar. I want to use everything you did minus the binding post and switch. I’m building a welding turn table, with a 120Vac motor and need to decrease the speed.